If you happen to be in the market for a new smartphone for yourself, a family member or a loved one then you can do a lot worse than grabbing one of HTC’s creations. Devices like the iPhone 6 and the Galaxy S5 seem to attract most of the mainstream praise for Apple and Samsung when people are discussing the best smartphone on the market, but let’s not forget about the likes of HTC who silently goes about its business by making quality, powerful and innovative hardware. As a gesture of goodwill to all men and women, HTC is running a limited time festive sale that allows anyone to receive 20% off any device when purchasing directly through the HTC website. How’s that for an early Christmas present? HTC has announced the offer as part of an extremely simple “because you deserve it” campaign that involves entering a unique promotional code at the point of checkout that will discount any phone on HTC.com by a fairly impressive 20%. It is worth noting that this offer only applies to the off-contract price as purchases made with a minimum term carrier tariff are heavily subsidized already. 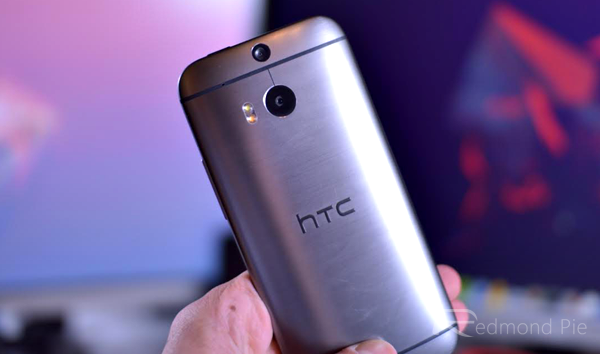 Those who are looking for a powerful modern Android phone can apply the discount to the excellent HTC One M8. If you’re after the same power with a Windows Phone tint to it then the One M8 for Windows is also offered at the subsidized price of $519.20. Other featured devices as part of the promotion on HTC.com include the HTC One E8 edition, the HTC One Remix, the HTC One Desire EYE, a limited edition Harman/Kardon edition of the One M8 and the HTC Desire 610., which can be picked up SIM free and unlocked for a tiny $239.20. The promotion is currently live and in effect with HTC planning on running it until the New Year. To qualify for the 20% discount, potential consumers must choose, apply the code ‘HTCHOLIDAY20’ and checkout before the end of the day on January 2nd, 2015. The Taiwan company has also placed a limit of one purchase per customer using the code so the business-savvy individuals out there can’t snap up HTC’s entire stockroom and sell them on at a higher price. Head on over to this page for all the deals that are on offer, and remember, don’t forget the ‘HTCHOLIDAY20’ code before you checkout.